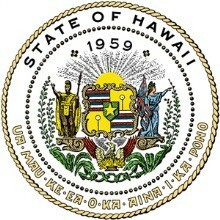 HONOLULU – The State of Hawaii Office of Consumer Protection announced today that Hawaii joined 41 states and the District of Columbia in reaching a $6 million settlement with Encore Capital Group Inc. and its subsidiaries Midland Credit Management, Inc. and Midland Funding, LLC, which together comprise one of the nation’s largest debt buyers (collectively referred to as “Midland”). Debt buying involves buying and selling overdue debts from creditors and other account owners. Often purchased for pennies on the dollar, debt buyers seek to recover the full balance from consumers through collection attempts by phone and mail. Some debt buyers, including Midland, also take consumers to court to collect the debts they purchase. However, borrowers are often unable to afford attorneys to defend the allegations, and some cases result in default judgments, damaged credit ratings and wage garnishment. The settlement resolves the states’ investigation into Midland’s collection and litigation practices. Much like the conduct witnessed during the mortgage crisis, the agreement settles states’ claims that Midland signed and filed affidavits in state courts in large volumes without verifying the information printed in them, a practice commonly called robo-signing. “This case sends a strong message that robo-signing will not be tolerated in Hawaii. Attesting to information in an affidavit without verifying the claim is plainly improper and has no place in our system of justice. Our investigation revealed that Midland repeatedly did this in Hawaii and in other states. Through the joint efforts of consumer protection authorities across the country we believe that the practice will now be corrected,” said Stephen Levins, executive director of the State of Hawaii Office of Consumer Protection. The settlement requires Midland to reform its affidavit signing and litigation practices. Midland must carefully verify the information in affidavits and present accurate documents in court proceedings. When Midland files a lawsuit, it must have account documents about the debt before it files the case, including the amount of the debt, proof of an agreement, and an explanation about why any additional fees are justified. The settlement offers protections to consumers Midland is collecting from even if they are not being sued. All consumers must receive accurate information about valid debts. If a consumer disputes a debt Midland is collecting, the settlement requires Midland to review original account documents before it continues its collection efforts. Midland must provide these substantiating documents to the consumer for no charge. The settlement requires Midland to maintain proper oversight and training over its employees and the law firms that it uses. The agreement prohibits Midland from reselling debt for two years. As part of the settlement, Midland will completely eliminate or reduce the judgment balances of approximately 33 Hawaii consumers for a value of $40,800.00, in cases where Midland used an affidavit against them in court between 2003 and 2009. Midland will notify impacted consumers by mail of the balance reduction and no further action is necessary from the consumer. The settlement further provides for a payment of approximately $77,000 to the State of Hawaii which will be used for consumer protection purposes.